But my next thought was pity for the ol’ Dutchman shown here, in a 1991 card, late in his long career of sending bamboozled batters back to the dugout. Apparently, he missed Cooperstown enshrinement this time by just five votes. As the only players who missed by a smaller margin (Pie Traynor, Billy Williams, and Jim Bunning) went on to later get enough votes, you’ve got to think that Blyleven’s long wait will be over next year, but who knows? Still, it’s looking more like Blyleven will get his moment in the immortal sun. Also looking good is Roberto Alomar, who got 73.7% of the vote and will probably breeze in next year. Barry Larkin also had a strong first year on the ballot, hinting that he’ll have a plaque before too long. So kudos to all of them. But let’s face it, today for baseball fans is a day set aside for outrage, more or less. It’s the day when the game itself is in some ways defined, and those who didn’t get to participate in the defining (and plenty who did) get to rail against the parts of the definition that veer so widely from their own. I’m mostly angry about the relatively weak results for Tim Raines and Alan Trammell. Raines still has some time on the ballot to climb, but I think Trammell is pretty much done for. Maybe some day a revamped, sane Veteran’s Committee can induct him and Lou Whitaker at the same time. It’s an odd thing, this vanishing of Dale Murphy. He was not a Bob Grich or Darrell Evans type when he played, i.e., he wasn’t one of those quiet guys churning out good to great seasons in invisibility, but rather a marquee hero with a nationwide TBS audience back when such an audience was rare. I guess he and Don Mattingly have both been dismissed for the abrupt truncations of their careers. Which brings us back to Blyleven, who unlike the blazing comet types just kept going and going. He was built for the long haul. Here’s hoping that persistence helps him wait for The Call for one more year. 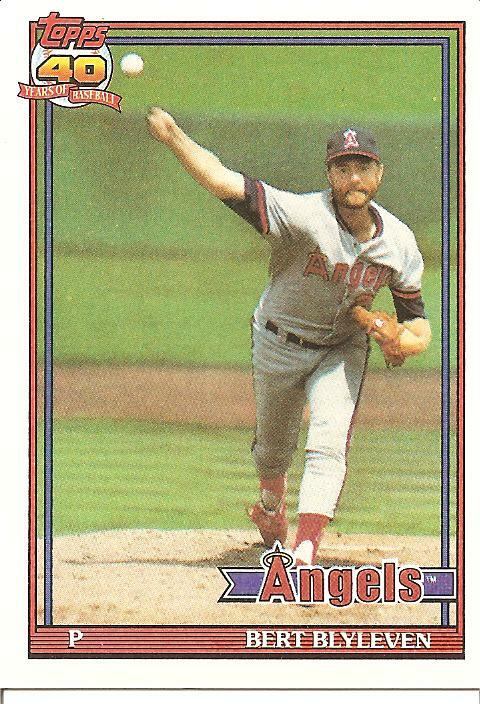 You are currently browsing the archives for the Bert Blyleven (Cal) category.